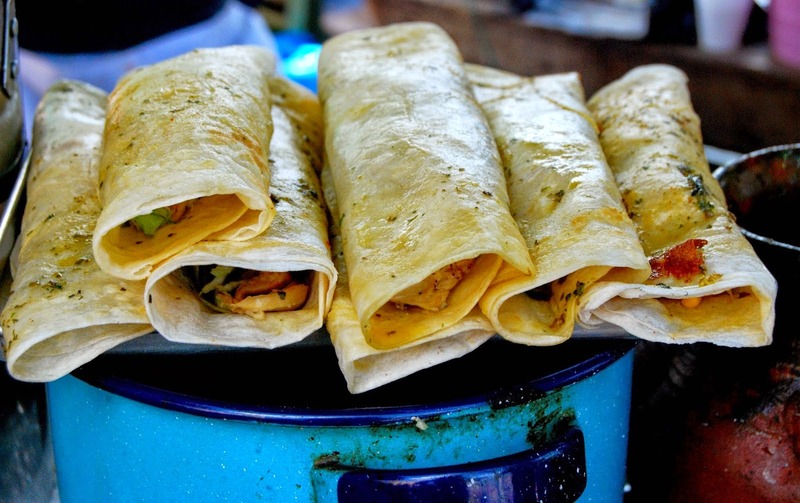 If you don't love the food in Antigua, you've been eating in the wrong places. There's show offs in every crowd. Here they are and they have plenty of reasons to be bragging. 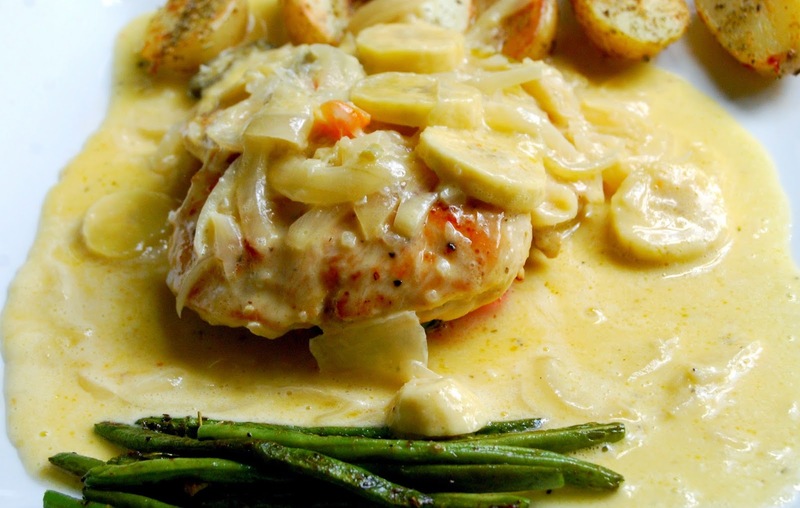 If you're in the mood for a healthy fix, this is the place to go. 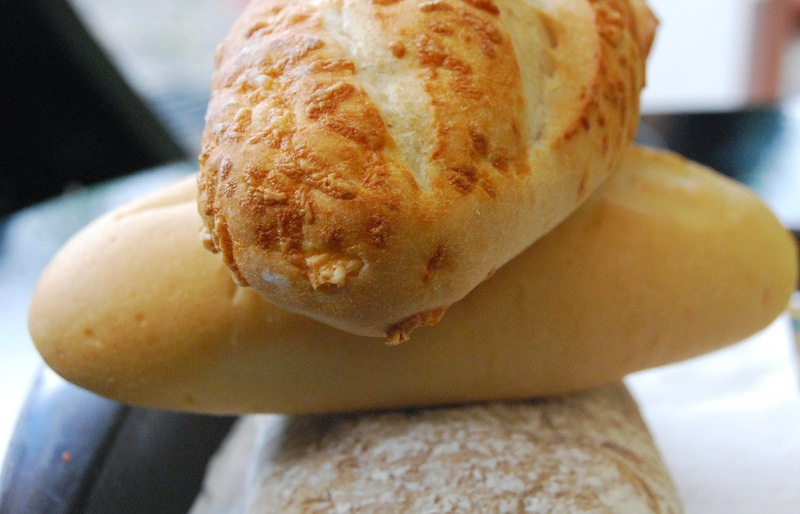 It's a bakery, a chocolate shop and restaurant neatly packaged and perfect for organic and vegetarian enthusiast who can't find these choices any other place in town. 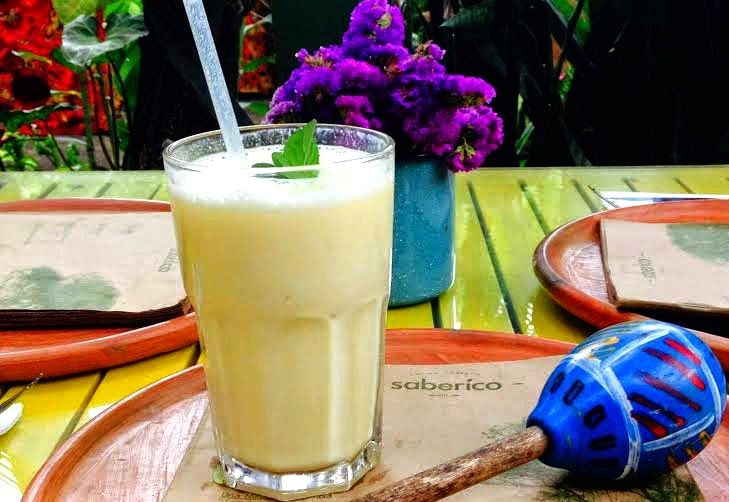 Included on the menu are a wide-variety of options for healthy street foods, licuados and smoothies like this detoxifying pineapple and celery one made with yogurt. 28Q. I fell in love with the secret garden in back. It’s so unearthly, you'll find yourself hanging around a lot longer than your schedule allows. 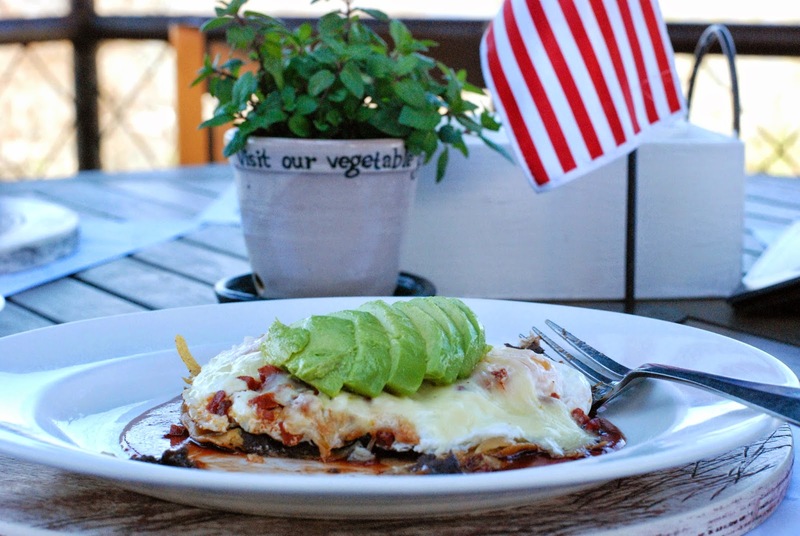 Throw away that itinerary and stay for awhile because saberico happens to be one of the most casually, beautiful restaurants anywhere. This restaurant has one of the most creative menus in town. 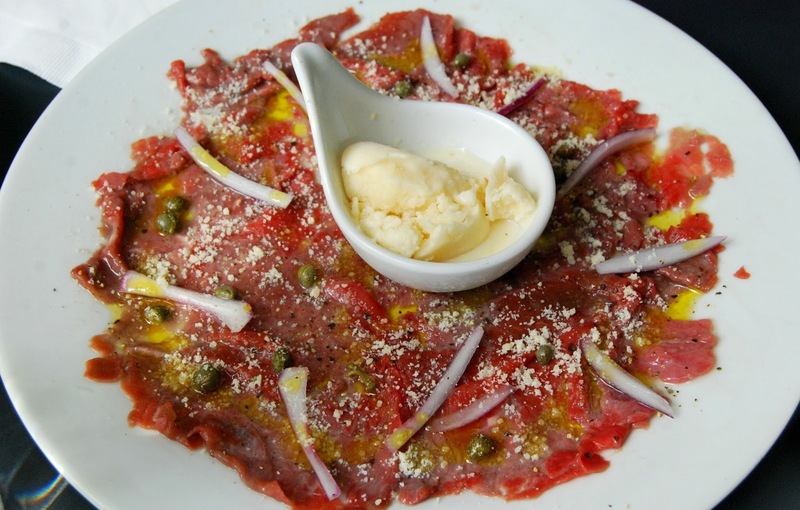 From one of the most inviting French Onion soups; the Carpaccio, thinly sliced beef tenderloin with lemon, olive oil, capers, purple onions, Parmesan and a scoop of Parmesan ice cream with toasted pine nuts to the Blackberry Chipotle Beef Tenderloin rubbed with cardamom, cinnamon, cacao and other spices in a mildly spicy blackberry and chipotle reduction and the Jalapeño Banana-Chicken breast made with cream of jalapeño and fried bananas, this is one restaurant that lives up to the hype. 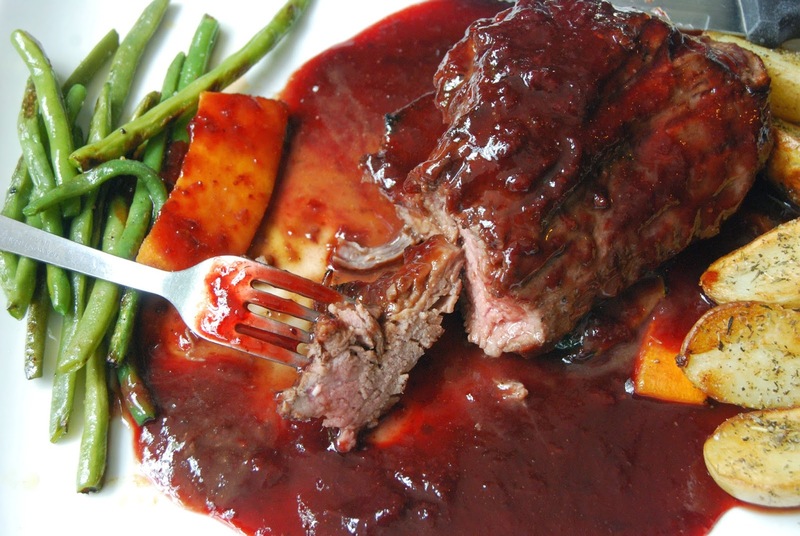 The secret blackberry sauce remains just that. Owner, Alexander Ferra, knows he's got a pot of gold if he decides to bottle and sell it. I, for one, would order a case if I could just figure out how to get it back home. 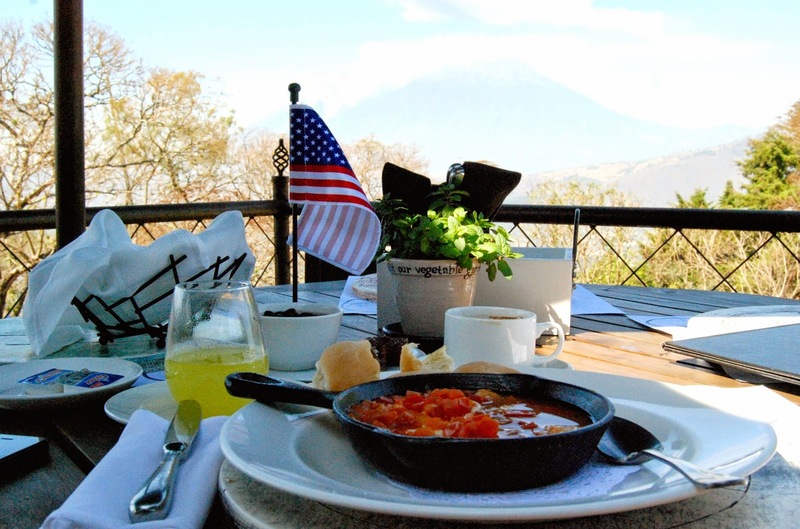 What's not to love when you get magnificent, inexpensive food with views to die for? This is a place you can reach out and almost touch the clouds. Also, as a personal touch, they place a flag from your home country on your table. 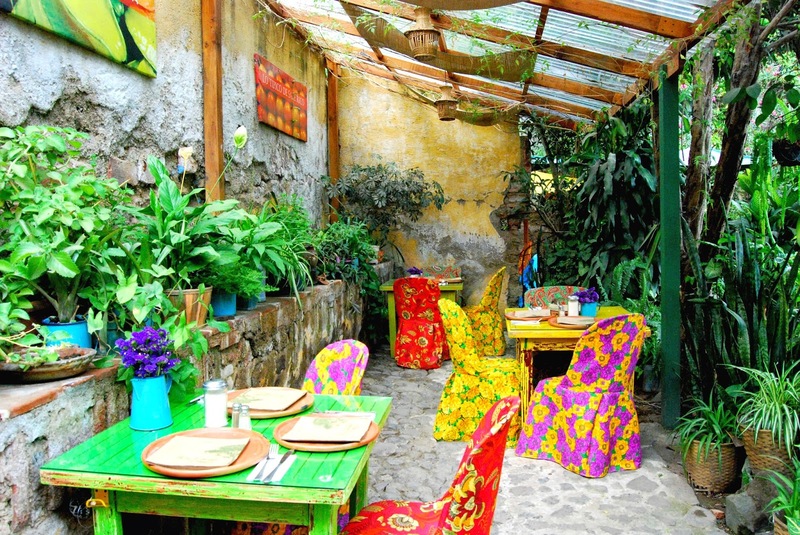 This restaurant is owned by Casa Santo Domingo, 3 Calle Oriente #28, a former monastery turned hotel which is a wonder in its own right. Check out the museum-quality artifacts just for starters. Executive Chef Mario Enrique Campollo uses imagination while crafting dishes that express local influences. 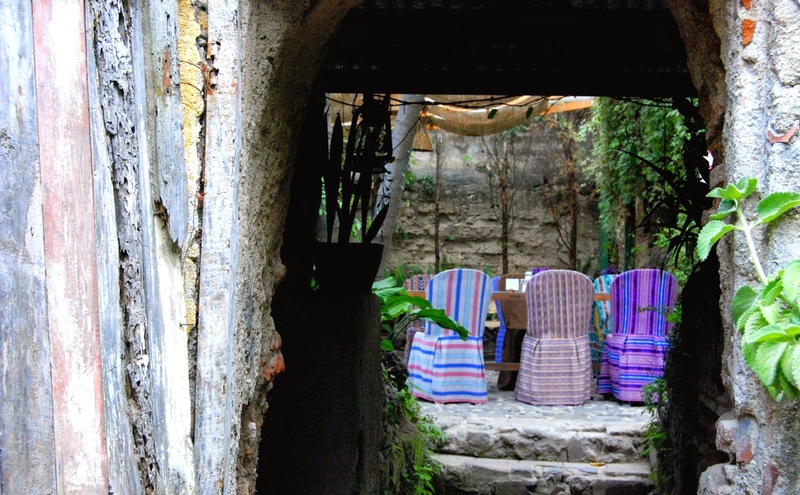 I experienced these two notable dishes when I ate there which included fabulous Guatemalan coffee and fresh-squeezed juice. The hotel provides a free shuttle up the hill to the restaurant and allows you to catch some of the best views in Antigua. This restaurant was one of the highlights of my trip. Don’t miss it. This crepe was filled with exquisite lemon and was an amazing dessert. In fact, it was so good, I came back the next day for another fix. 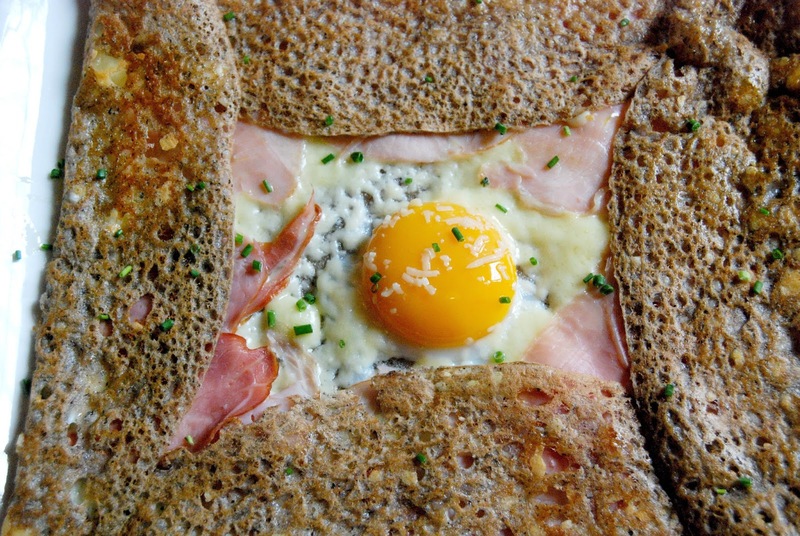 I despise buckwheat and was prepared not to like the Galette filled with ham, Emmental cheese and an egg. I was actually astonished at how good it was and the flavor was not nearly as strong as I expected. The buckwheat is so high in fiber it fills you up quickly. It's almost impossible to finish. I only ate half so you can easily split this lunch for 27Q each. If you wish you were in Brittany, ask for an extra egg. 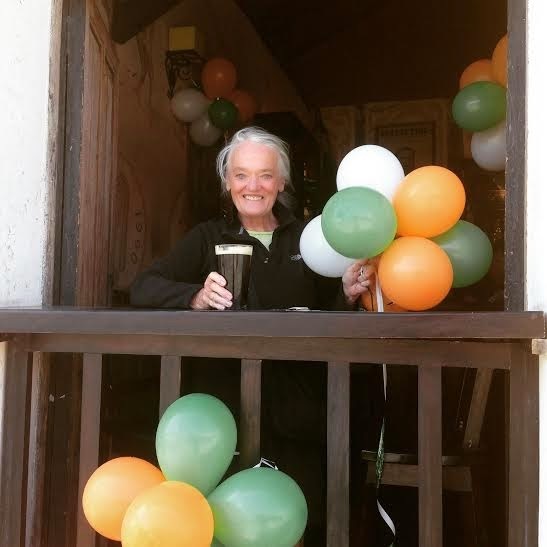 If you happen to be Irish like I am and in Antigua on St. Patrick’s Day, Reilly's is the place to celebrate with the all the local Irish and the locals who just think they are. We all know there's little difference between the two on St. Patrick’s Day. In keeping with the travelers #1 rule that you can have anything you want for breakfast when you're on vacation, I made mine a Guinness. With 6 tables, we were amazed that the staff could dish out so much great food from its teeny-tiny kitchen because the place was always full. They certainly have the dance down to a science. We loved this place. The staff was friendly and this was one spot where we met people from all over the world. I had a great lunch one day with two women from Kansas City. I had but ultimately lost their email address so if they read this, please reconnect. 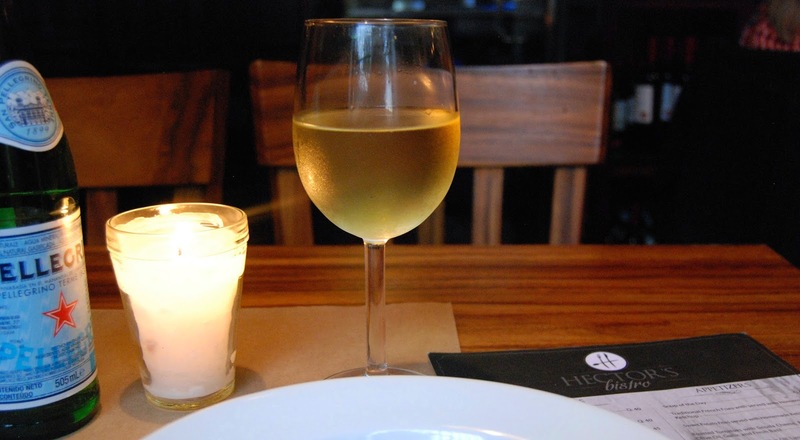 It proved to be ideal at the end of the day for a glass of wine or an early dinner. 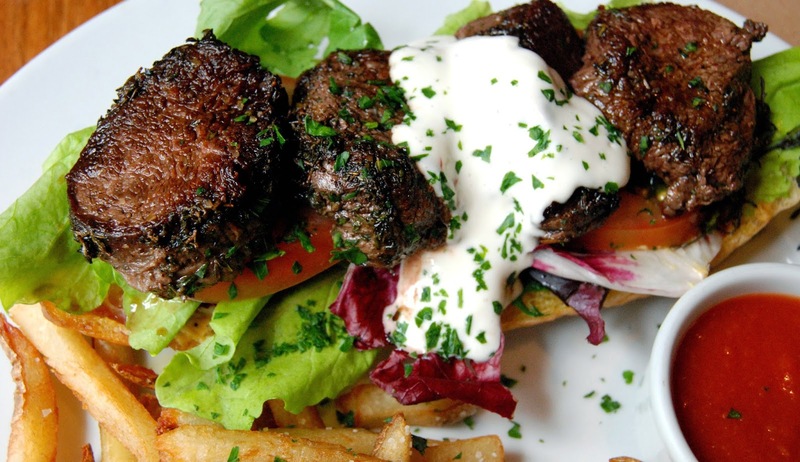 The open-faced beef sandwich was something to write home about at 85Q. This was one of the best and least expensive meals we had in Antigua. The menu was small but they changed up their specials every day so there was always something new to try. 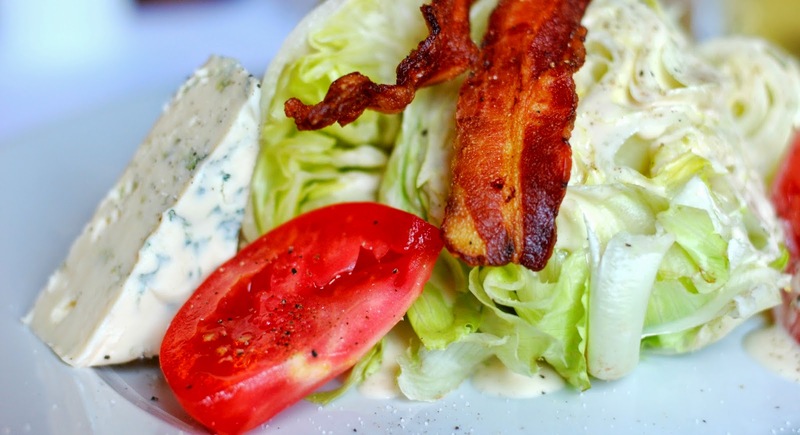 Sometimes your body just knows it's time to have a salad. This wedge, prepared by Chef Mario Godinez of Bistrot Cinq, looked pretty ordinary but what a surprise when I took the first bite. The dressing was his special apple medley infusion and totally made the salad.80Q. Ask for more bacon. One can never have too much bacon. 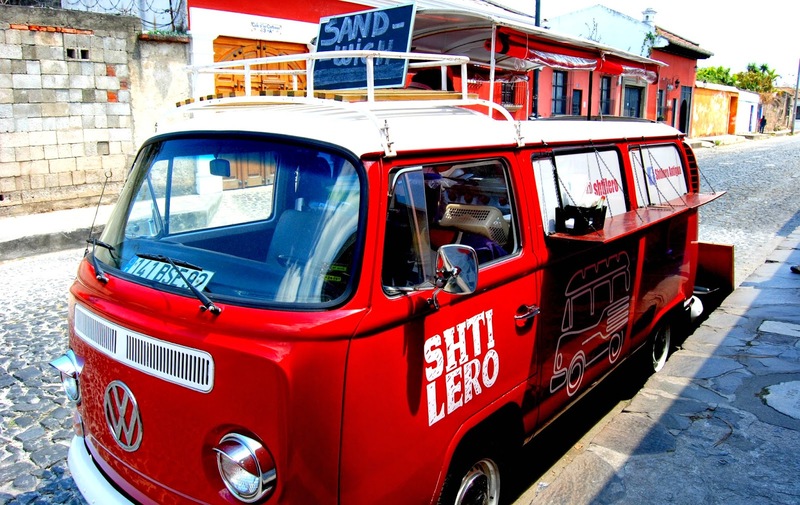 This food truck has the corner on authentic eats. 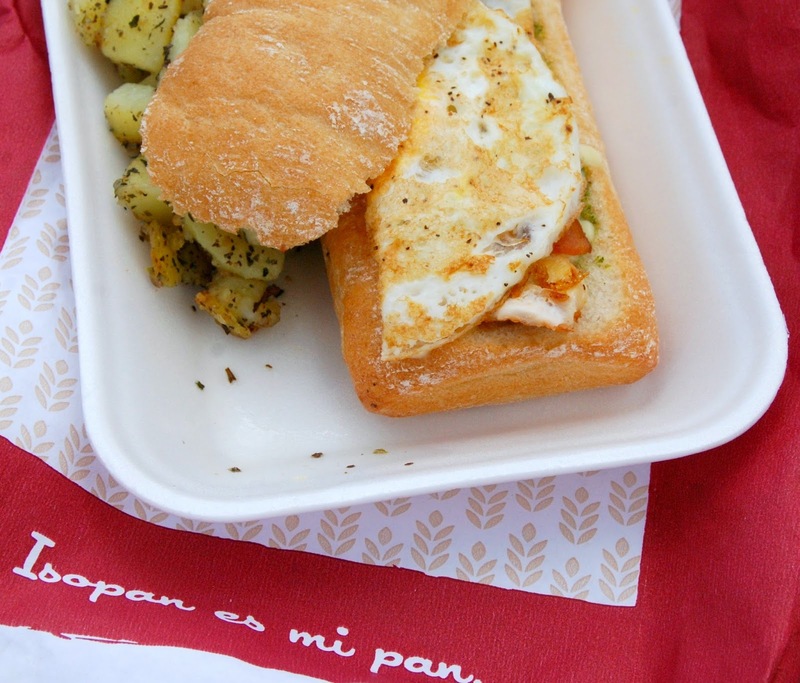 Round two… it was breakfast for lunch; chicken, egg, bacon and pesto piled on a soft loaf of perfectly fresh-baked bread from Isopan who has a busy retail outlet at 3ra Calle Poniente #35. Check out their Facebook page for a location before you go. 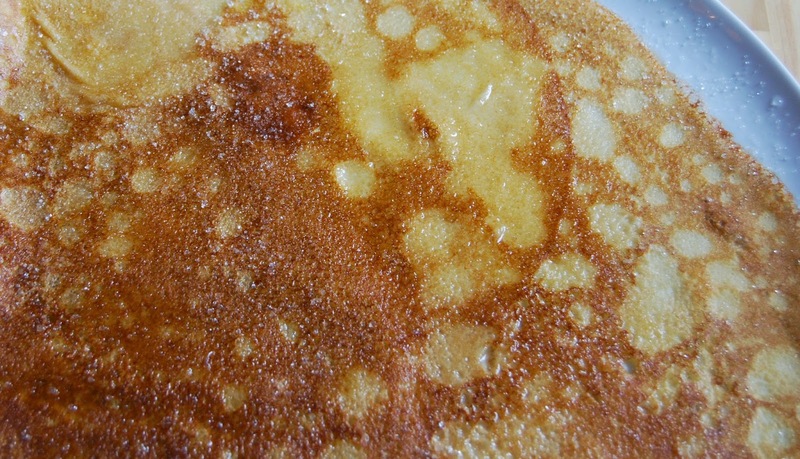 If Guatemala has a national dish, it is Pepián. 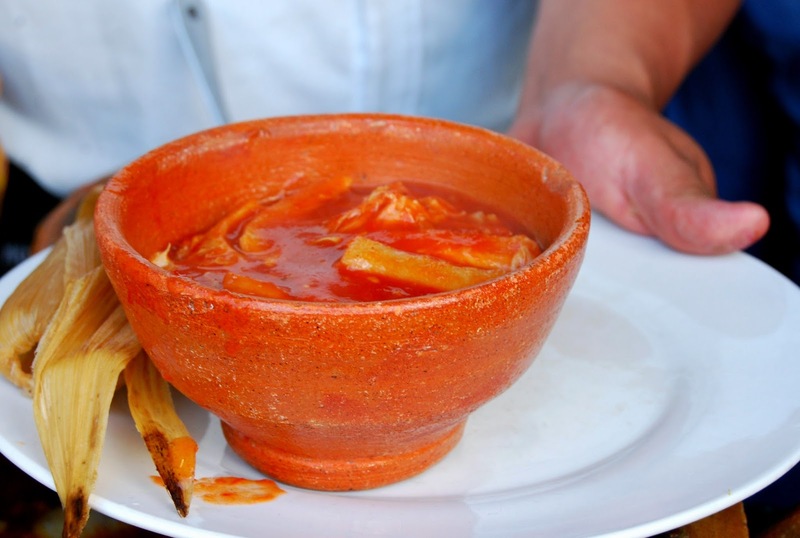 Pepián is a thick meat and vegetable stew, that’s served both on the street and in fine dining restaurants. 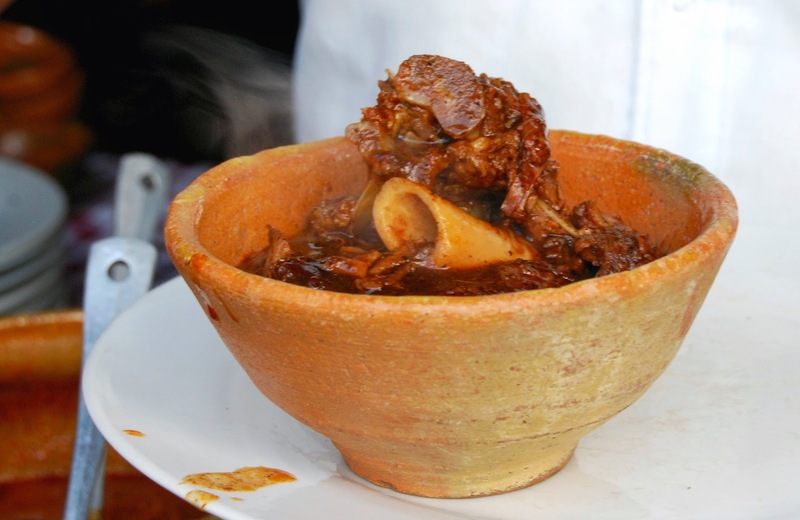 In fact, there are endless varieties of stews in Guatemala including Gallo en Chicha, a Rooster stew; Subanik, a stew in a spicy sauce; Estofado, a beef, potato and carrot stew; Revocado, a tomato based stew with spices and the underbelly of the cow; Jacon, chicken stewed in a green sauce along with Pollo Guisado, a Spanish chicken stew, just to name a few. I found some of the dishes to be bland but others were wonderfully flavorful and even somewhat spicy. Charcoal-grilled meats are also very popular, especially on the street, as well as many types of tamales and chili rellenos. 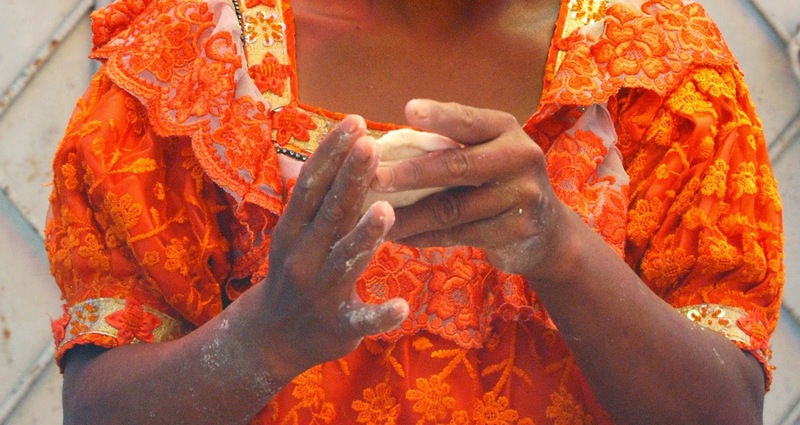 Like arepas in South America and gorditas in Mexico, Guatemalan pupusas are made of corn. 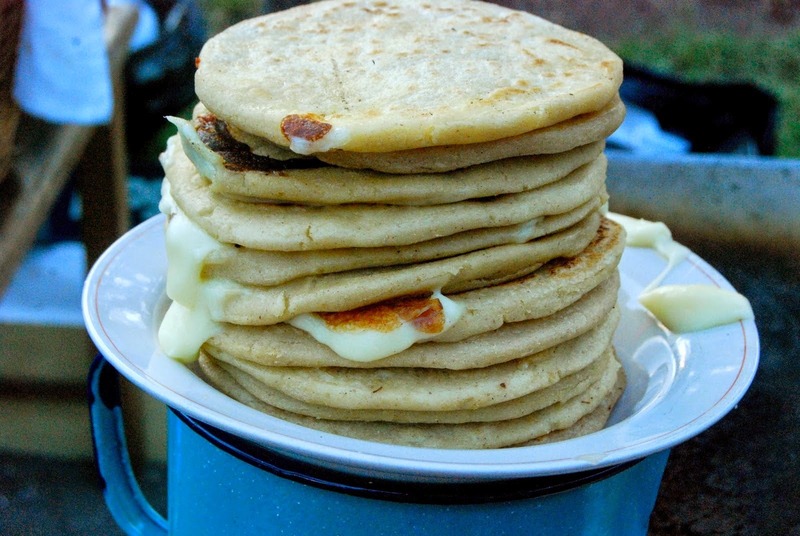 Pupusas don’t have a filling but I have a soft spot for pupusas overstuffed with cheese. 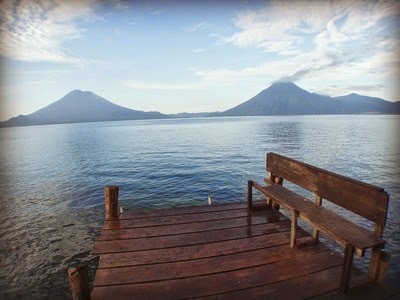 Guatemala also has a variety of enjoyable tropical fruits like plantains, papayas, pineapples, mangoes, and watermelons. You’ll also find carambola; star fruit to use instead of pineapple in an upside-down cake and guanabana, which makes remarkable fruit smoothies. Radishes are a tradition and Chojín, a radish salad served as appetizer or side dish, can also be smothered on just about anything on the menu. Don’t expect the food in Antigua to be inexpensive. I spent twice as much as I planned to and I always budget a hefty sum for eating when I travel. For inexpensive food, try one of the dozens of vendors in front of churches like La Merced, who have a wide-variety of street foods to offer. Remember to be smart when eating street food. Freshly cooked is better than food that’s been sitting around and go to the stand that’s filled with the locals. 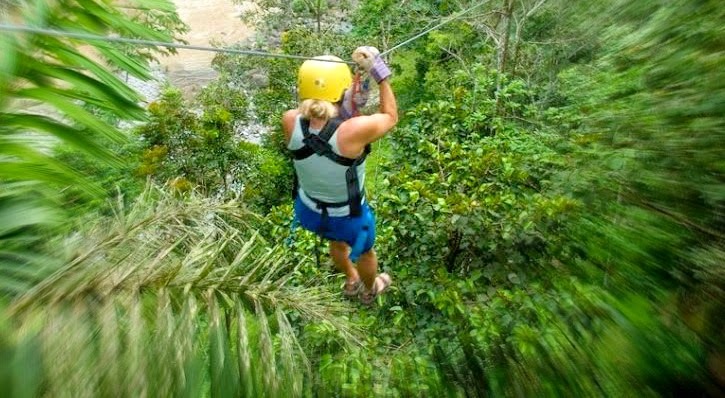 Try zip lining, waterfall rappelling, climbing volcanoes or jumping off 8 foot balconies into the most beautiful lake in the world. The adventures are here for the wonder you don’t want to miss any of them. 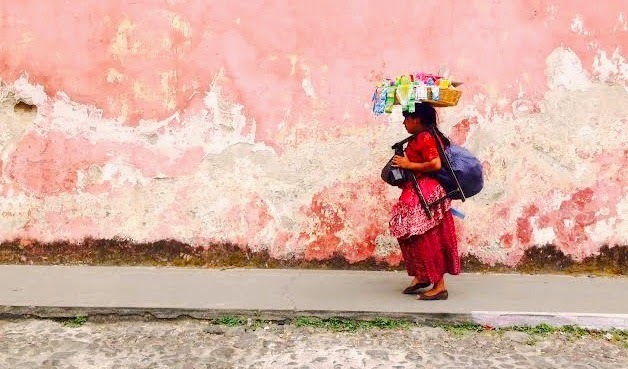 Paint a picture of Guatemala and it will be colorful for sure. 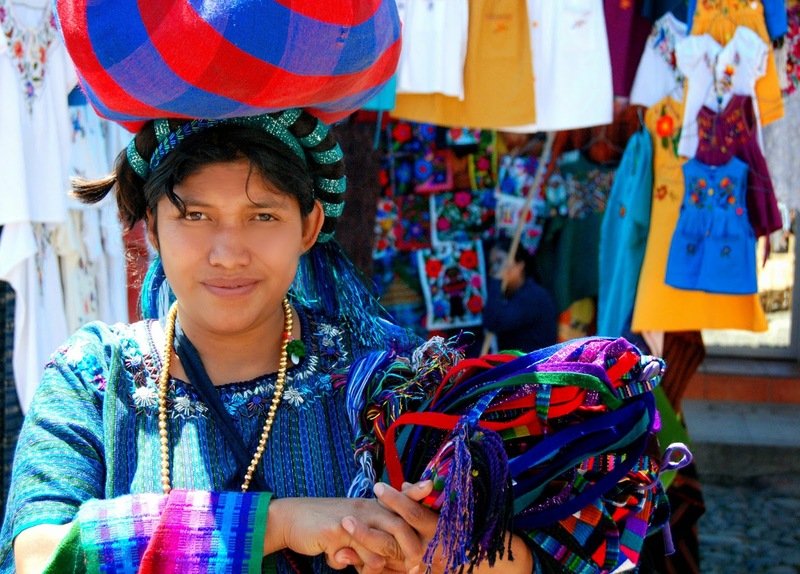 Go to Chichicastenango for all of its intensity and embellishments. 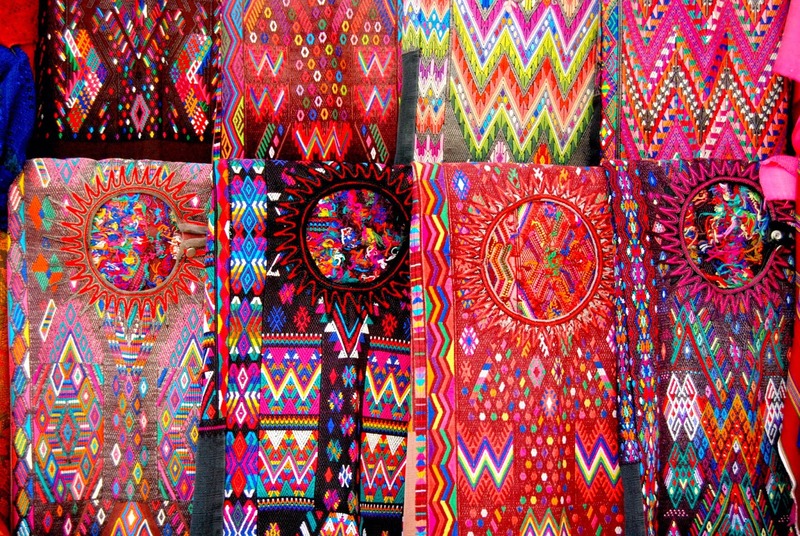 The market is a complex balance of colors, textiles, dialects, indigenous dress, and wonderful aromas. 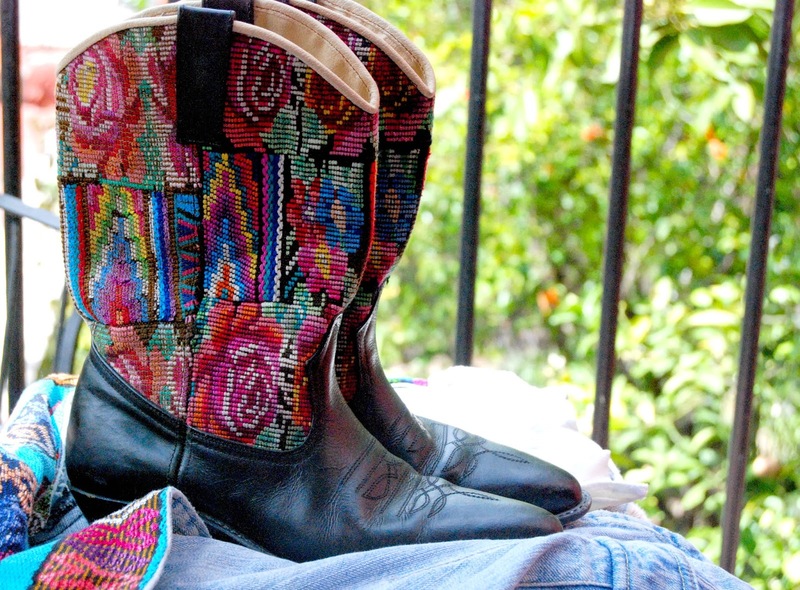 Buy authentic boots and a bag from Coleccion Luna (http://www.coleccionluna.com) to take the magic back home with you. One thing I’ve noticed. When I wear these everyone looks at them with boot envy. 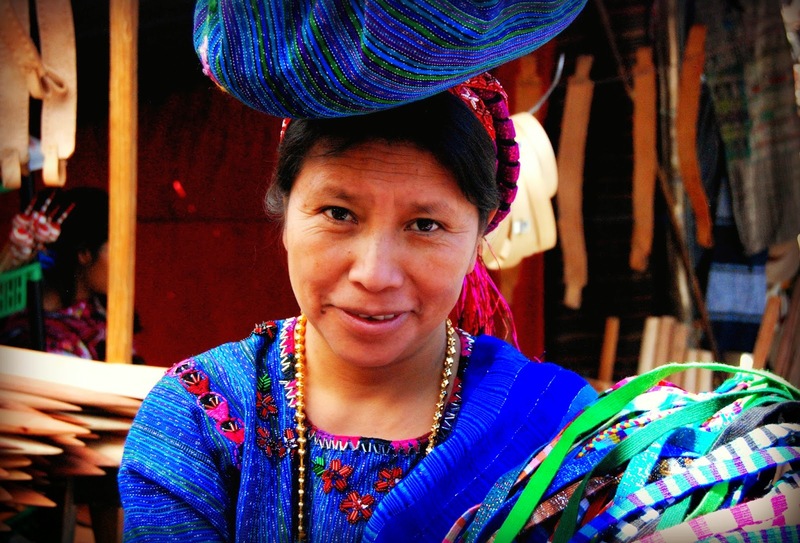 Go to Nim Po't, 5a Avenida Norte, home of the world’s largest retail Maya textiles collection. 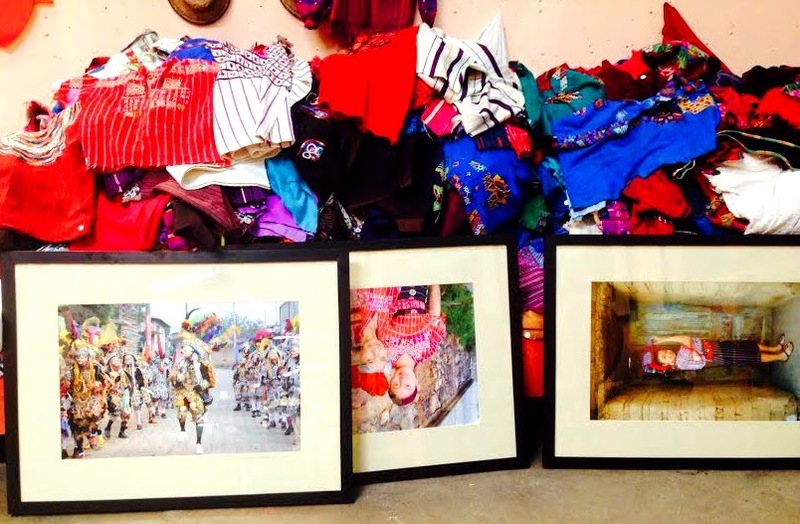 It’s a second hand store like no other and well worth exploring. These are what I call a JOY ride! You’ll be hanging on for your life, wedged between welcoming strangers who are chatting in unknown dialects. The entire time, you’ll be wondering if you’ll ever make it off the bus. The adventure is rich and always good for more than a few laughs. 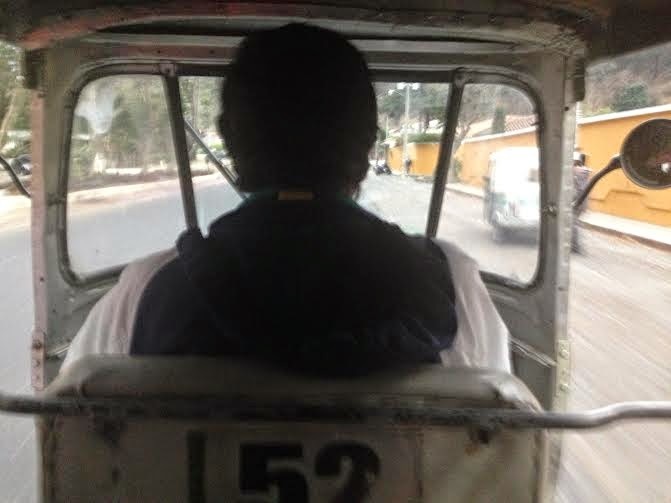 Just like Asia, you can also hail a tuk-tuk, a motorized version of the traditional pulled rickshaw, which is one of the more inexpensive ways to get around. I found a driver I liked the first day and was good to go for the month. 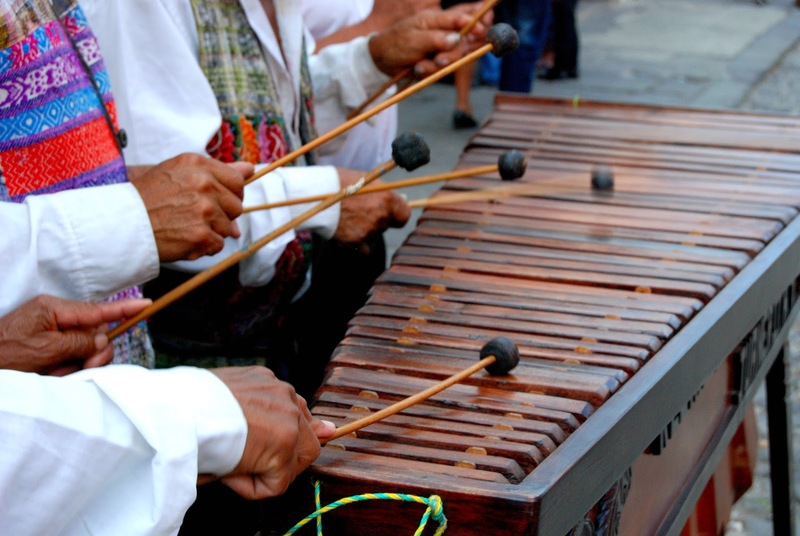 You’ll hear bachata, punta, tropical salsa, meringue, hip hop, reggae and mariachi but it’s really all about Marimba, the traditional music of Guatemala. Marimba is community music-making and just about anyone can sound somewhat seasoned with about 30 minutes of practice. Something within us loves a bit of mischief and Maximón, one of Guatemala’s most popular Mayan folk saints, will win you over with his. Maximon is considered an idol of vice; he takes the burden off his followers' vices by making them his own. Some say he is the incarnation of the Mayan god of sexuality; others a pre-Columbian Mayan god of the underworld. 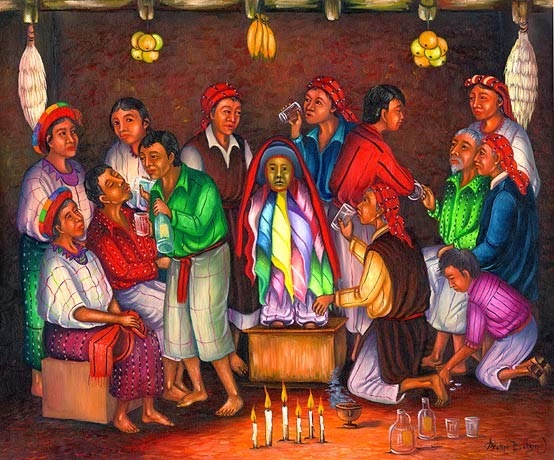 He’s always well-dressed, offering counseling on money, business, luck, love, protection, fertility, justice, revenge, healing and spiritual cleansing in exchange for Venado rum or Quetzalteca and Payaso cigarettes. He’s also been known to sport a pair of sunglasses. 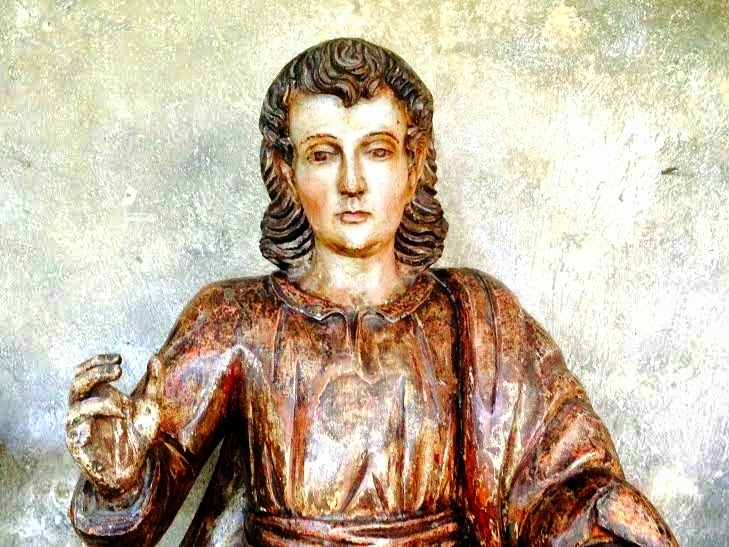 He’s adored, feared, worshiped and guarded everywhere in Guatemala and an effigy of Maximón is in the lake town of Santiago Atitlan where he is celebrated year round. 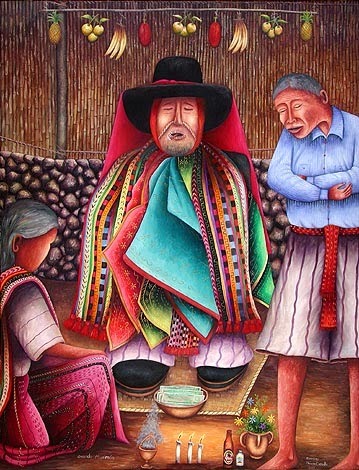 These beautiful Mayan paintings of Maximón were done by artists Felipe Batzim Navichoc and Domingo Garcia Criado. 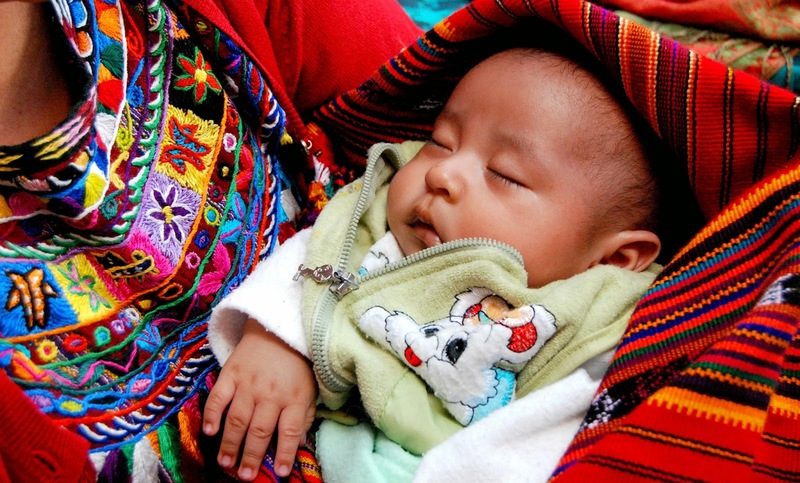 I’ll never see a picture of Maximón now without smiling. In fact, I think Maximón will find a place on my Day of the Dead altar this year. 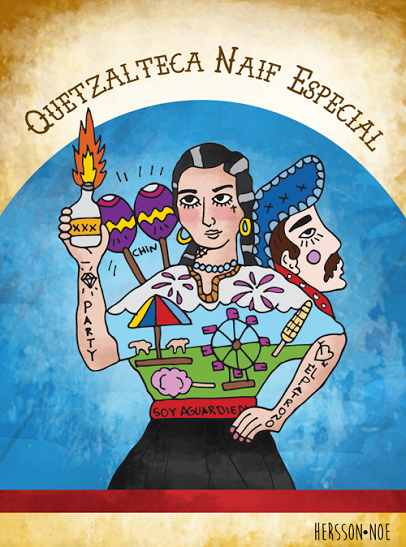 Serious drinkers in Guatemala love Quetzalteca and Venado, two aguardientes that will move you into another trajectory. I had a just a little sip and could immediately sense the outcome. The lake…a mysterious beauty that never looks the same twice. 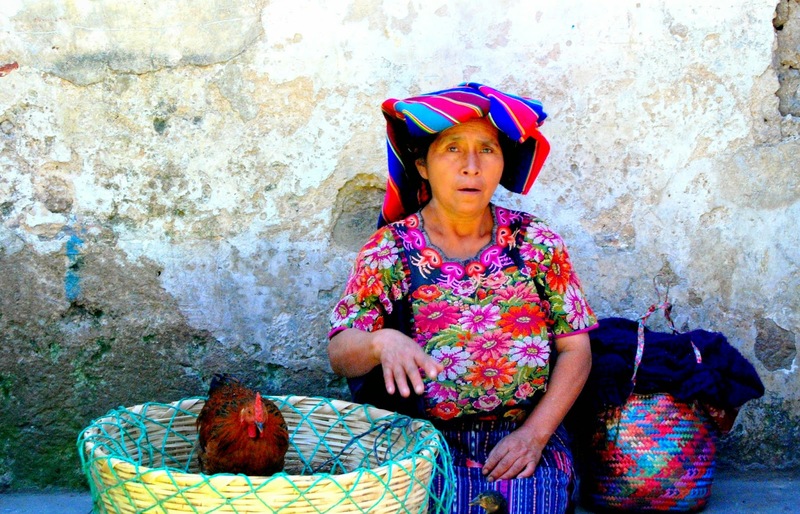 Transportation is generally pretty easy and inexpensive with lanchas that get you from village to village around the lake. 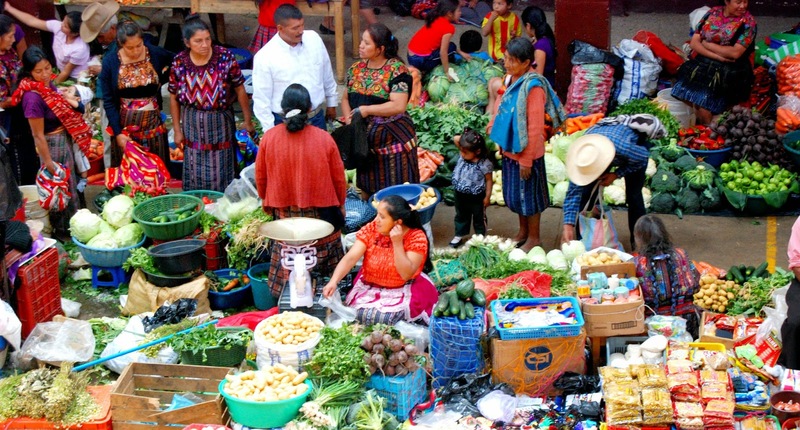 The prices are fixed for the locals but tourists generally pay more. 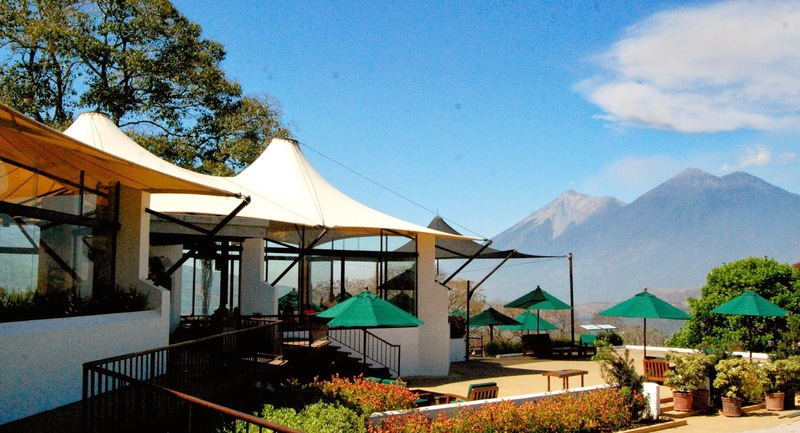 Travelers will be taken back at the magnificent surroundings and the landscape, with its unforgettable volcanoes and its breathtaking views. Once you’ve been there, it’s impossible to stop thinking about. It’s one place that will remain in your mind’s eye forever. Who turned my Spanish button on? Suddenly, I am remembering words I thought I had forgotten and I'm speaking Spanish without thinking again. That’s what immersion will do for you. 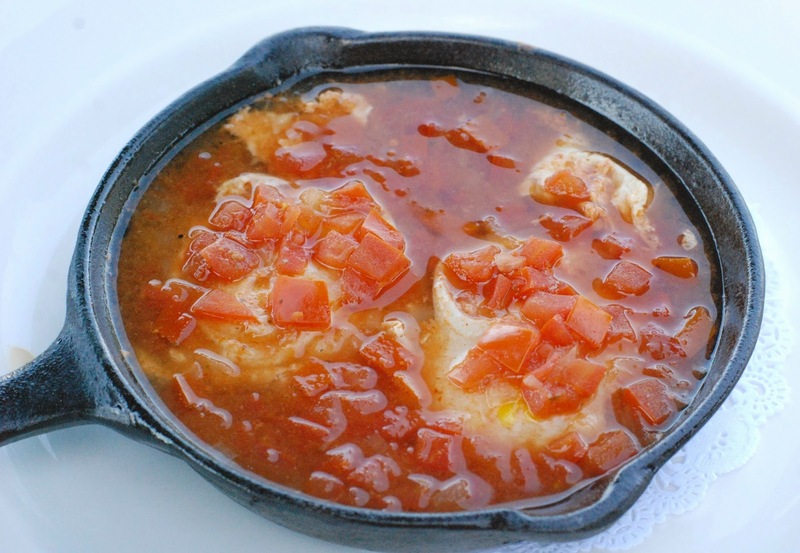 When I start dreaming about food in Spanish again, that's when I’ll know I have my mojo back. Until then, I’m ready to pack my bags and go on the road again. How about you?